One of the Original Six NHL franchises, the Bruins are loaded with tradition, banners and hardware. Boston is locked and loaded and has their sights set on bringing home another Stanley Cup trophy. The Bruins will have to beat out rivals the Detroit Red Wings and the Tampa Bay Lightning on their pursuit for hockey immortality. Grab your Boston Bruins tickets and head down to the TD Garden to be a part of your team's championship hunt. Founded in 1924 and member of the Atlantic Division of the Eastern Conference, the Boston Bruins are a storied franchise with plenty to be proud of. For one, the Bruins are one of the most successful teams in the NHL. In fact, the Bruins are the third most successful active team in the NHL after the Montreal Canadiens and the Toronto Maple Leafs. The Bruins have completed 94 seasons out which they made it to the playoffs in 71 of those. They also have 57 series wins, 25 Division titles, 4 Conference titles, 18 Finals appearances and 6 Stanley Cup Championships in their trophy cabinet. Such success is hard to imagine without any standout moments. Here are just a few moments that make this team so fascinating to watch. Miracle at TD Garden –The Boston Bruins were kicking themselves when they blew a 3-1 lead in the first round of the 2013 playoffs. However, they were able to redeem themselves on May 13, 2013, at the TD Garden in front of a packed 17,565 attendance. The Bruins were down 4-1 in the middle of the third period when they staged an impossible comeback. The instigator was Nathan Horton who scored at the 9 min and 18 sec mark. This was followed by a Milan Lucic goal and immediately Patrice Bergeron who scored with only 51 seconds left. The game went into overtime where again Patrice Bergeron scored to give Bruins a miraculous 5-4 win. The Leap – There is a photograph of Bobby Orr leaping immediately after scoring the winning goal against the St. Louis Blues on May 10, 1970 at the Boston Garden. Taken by Ray Lussier, the image of Orr leaping through the air captured the true sentiments of every Bruins fan. The Bruins had been going through a rough patch. The last time they won the Stanley Cup was in 1941. And then there were eight seasons from 1960 till 1967 when the Bruins could not even make it to the playoffs. However, all that changed on May 10, 1970 and the elation on Bobby Orr face was perfectly captured forever. Montreal Canadiens – As the most successful and old teams in the NHL, the Canadiens and the Bruins have always found themselves against each other in the playoffs. The two teams have played more than nine hundred games against each other. These include both regular season and post season series. With the Canadiens winning majority of these games, the victories haven’t come easy with the Bruins always giving their Canadian counterparts a tough time. Be it the Canadiens success in not letting the Bruins build a dynasty around Bobby Orr or the Don Cherry and the too many men penalty incident. Or the death threats by Milan Lucic and Zdeno Chara’s controversial hit on Max Pacioretty, the Canadiens Bruins is the Gold Standard in NHL rivalries. Philadelphia Flyers – Dating back to 1974, the Philadelphia Eagles earned the ire of the Boston Bruins and her fans when they knocked them out of the Stanley Cup finals 2-4. Both teams are known for the tough and aggressive ways. As a result The Big Bad Bruins and the Broad Street Bullies have had many memorable disagreements on the ice rink. On top of that the two teams have met frequently in the postseason with the score level at three series win each. The Flyers Bruins rivalry has reignited in recent years, especially with Randy Jones’s hit on Patrice Bergeron. It’ll be interesting to see how these two rivals handle each other in the upcoming NHL season. In their 94 year history, the Boston Bruins has seen many exceptionally talented players on their roster. Some of whom who’ve made the Bruins into a championship winning side are as follows. There was a reason why Bobby Orr became the highest paid player in the NHL at just eighteen. One of the greatest hockey players, Orr holds the record for the most points and assists in a season for a defenseman. He has won the Stanley Cup twice by scoring the winning goals both times. He won the Hart Trophy three years in a row and the Norris Trophy eight times during his career. Orr was arguably the best defenseman to play the game. Johnny Bucyk was the best left-winger ever to play for the Boston Bruins. At the time of his retirement in 1978, Bucyk was the leading point scorer among left wingers. He was also the oldest player to score the most goals in a season. He achieved this feat by scoring 50 goals in the 1970-71 season at the age of 35. A few other Bruins who’ve made this franchise great are Defenseman Ray Bourque, Centerman Milt Schmidt and Winger Cam Neely. This historic arena is an ideal location for fans to catch a hockey game. TD Garden is built on top of Boston's North Station making it highly accessible for patrons to get to and from contests. Fans can enjoy pieces of Bruin history with The Sports Museum and the iconic Bobby Orr Statue outside of the garden. Get a glimpse of the future of Boston hockey with Bruins preseason tickets. The Boston Bruins are eyeing the Stanley Cup this year especially after losing out in the post season to the Tampa Bay Lightening in 2017-18. If you want to find out how much are Boston Bruins tickets? Take a look at our listings. Our process for purchasing cheap Boston Bruins tickets is simple and fast. There are so many online ticketing sites, that it can be hard for customers to find the right place to buy Boston Bruins tickets at the cheapest price. At ScoreBig we think of our customers first and foremost. We offer daily deals for Boston Bruins events, so our customers can get the best seats for the best prices. ScoreBig will always go above and beyond to offer the cheapest Boston Bruins tickets on the market. The Boston Bruins schedule above, displays all available events for 2019 and 2020. Once you find the event that you would like to go to, click the red “Get Tickets” button. It is located on the right-hand side of the event listing, it will take you to an Boston Bruins event ticket page. ScoreBig's event ticket page will display all available Boston Bruins tickets for that event. On the event ticket page to help with your search for the right Boston Bruins tickets, use the filters at the top to select quantity, price range, and more. There is also an interactive seating chart so you can pick where you want to sit. When you are ready to buy a ticket, click on the listing, and you will be directed to ScoreBig's checkout page. Upon completion of the information fields, your order will be processed and your Boston Bruins tickets will be delivered via email, mail, or to your mobile device. What makes ScoreBig’s site stand out from the rest? We are constantly analyzing our competitors to improve our site, service, and prices. ScoreBig.com employees strive to offer the best process and experience to buy cheap Boston Bruins tickets. Our goal is to get you the best seats to Boston Bruins events. We offer daily discounts on our site and for special promotions check out our newsletter. If there are no Boston Bruins events currently available, you can use our search feature at the top of the page to see a list of all popular events going on near you. No matter your price point, we have all the best deals and discounts on Boston Bruins tickets. For more information on prices of Boston Bruins tickets and the schedule for Boston Bruins, check out our listings above. The last thing you want to find out is when the Boston Bruins event you wanted to go to is sold-out. Don’t worry in many cases ScoreBig has affordable tickets to sold out events. We sell tickets from GA all the way to premium seating and parking. Skip the scalpers in the parking lot and get your tickets online from top Boston Bruins ticket brokers. We get you in all events, buy your Boston Bruins tickets here from a brand that many trust and rely on for all their ticketing needs. ScoreBig offers a 100% money-back guarantee. If you have been in search of cheap tickets for Boston Bruins, ScoreBig by far is the best option. That’s why ScoreBig has more loyal customers than any other ticketing site. 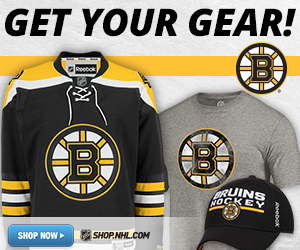 Shop at ScoreBig for safe and secure Boston Bruins event tickets.